Michael Daniel Ho - The Wildlife Ho-tographer: Canon EOS-M new Firmware coming soon? The recently introduced Canon EOS-M has generated a lot of interest despite the fact that there is no viewfinder and the AF on the camera is rather 'slow'. The camera is small and perfect for those who want a compact body with EF lens interchangeability. 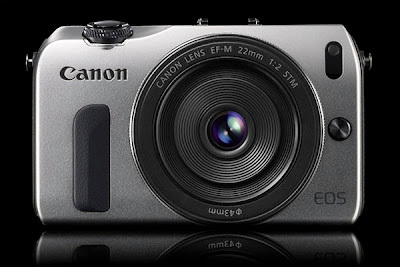 Rumor is Canon will introduced a new Firmware to redress the AF 'annoyance' before too long and there will be a new model of the EOS-M coming out in the first quarter of 2013 with a slightly bigger body, viewfinder and much improved AF capabilities. Take a look at my newer post on the EOS-M camera. Exciting things are coming to the EOS-M lineup because Magic Lantern has finally cracked the Firmware code of the camera and they will be adding new features soon, thereby forcing Canon to react and play catch up or end up looking silly. Click here to read my other post on this development.